There is no shortage of seasonal events in Kyoto. Especially the seasons when cherry blossoms are in full bloom and leaves turn in the autumn are beautiful. But sometimes it is hard to find a good event between these special seasons. Thus for those who are coming to Kyoto in the middle of September, more specifically September 20th and 21st, there is good news that the Okazaki Area (around Heian Jingu Shrine) is having three different events, called Okazaki Hare Butai (Okazaki Proud Moment). There are a couple of event zones; performances on a stage, a shopping section, a business section and a manga/anime related food section. For those who love or are partially interested in Japanese pop culture, GO, because foreign tourists can enter for FREE (showing a passport is required). Non-foreign visitors need to pay 1000 yen, but kids (elementary school students and younger) are free. For more information, please visit their official website. Okazaki Red Carpet consists of performances (dance, brass bands, anime related performances) and gourmet event on the approach to Heian Jingu Shrine. At the gourmet event, there are food stands which provide 25 different local foods from across Japan. Also, craft beers and sakes are available. PRICE: Depends on the shop. This is an illumination event held from 18:00 to 21:00. 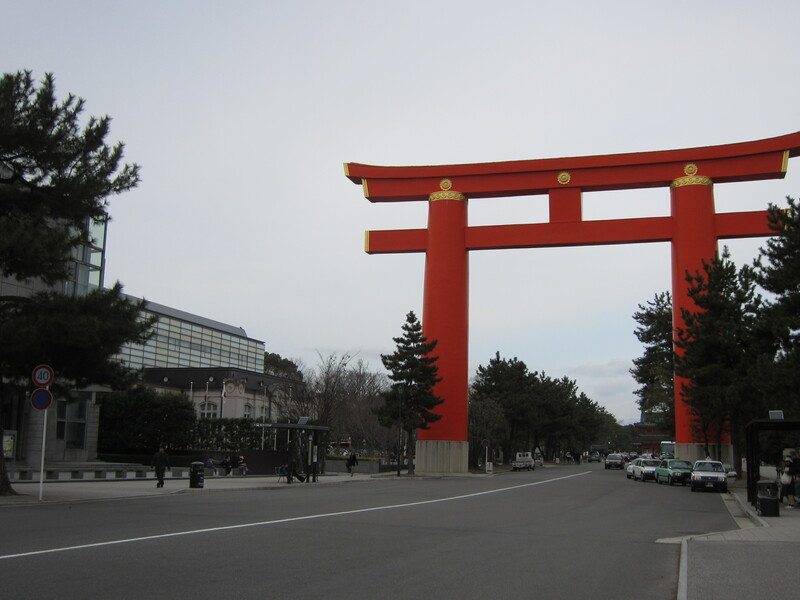 Okazaki Tokiakari includes a projection mapping in front of Kyoto Municipal Museum of Art and the gigantic Torii Gate’s illumination using LED. It is all free, and this is especially useful and practical for people who are busy sightseeing other spots in Kyoto at day time. For more fun and useful information, which will make your Kyoto Travel more memorable, exciting and stress-free, please check our Kyoto e-Guidebook.